It Foot, It Ears is a tricky animal. 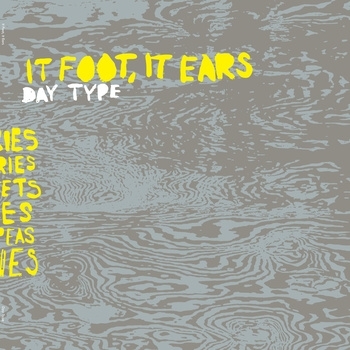 One part Nick Foster from Palace of Buddies, one part Jason Rabb from Bad Yodelers fame, It Foot, It Ears is cut from the same cloth as their experimental predecessors. Day Type is full of strange tunings, even stranger time signatures, disjointed melodies, loads of negative space and pregnant pauses. The album is a traffic jam of improvised and prepared musical ideas clamoring for space. The duo is at their best when they bow slightly to allow a melody to take the reins for a minute (like in the brilliant “Go Down, Jordan”) before carefully, and lovingly, deconstructing it down to a few staccato guitar riffs and brushes on the drum set. Day Type is busy, baffling and ultimately one of the most rewarding listens of the year.